Do: Commit to the edge! 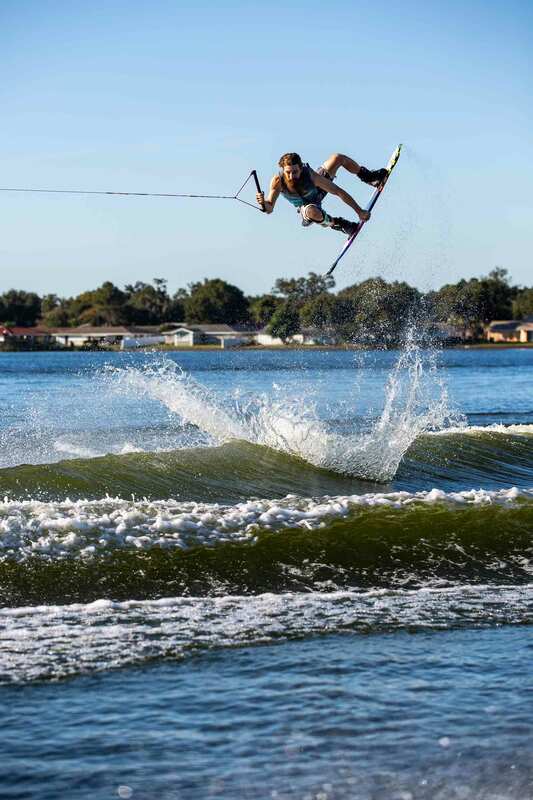 Take a nice wide approach and hold your edge all the way to the top of the wake to get the most pop possible. Don’t: Edge so hard that you punch through the wake. 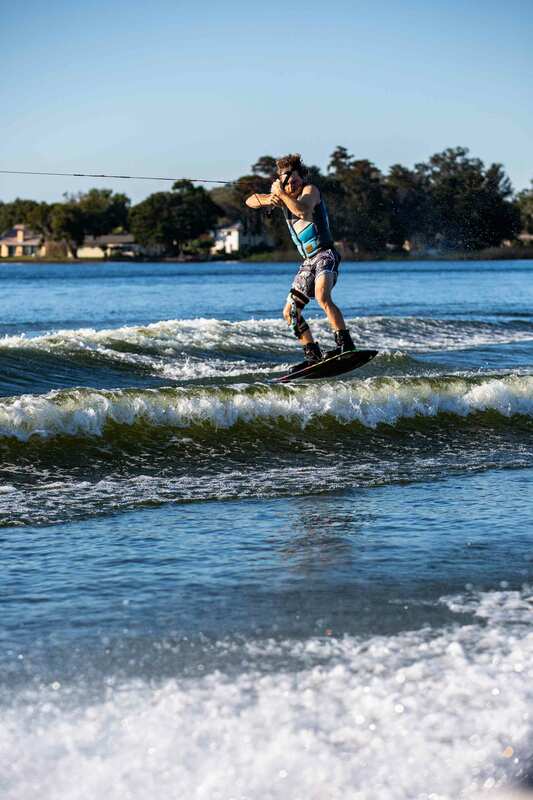 Do: Shift your weight from your back foot to your front so the board starts to go out behind you. Don’t: Take off early! Wait for the pop or you’re going to end up going down nose first. 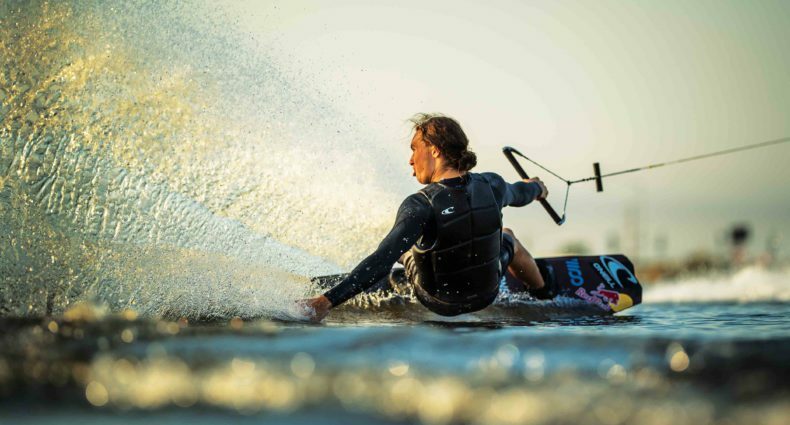 Do: Keep your knees in and go for the grab right off the top of the wake. Don’t: Look down at the board. 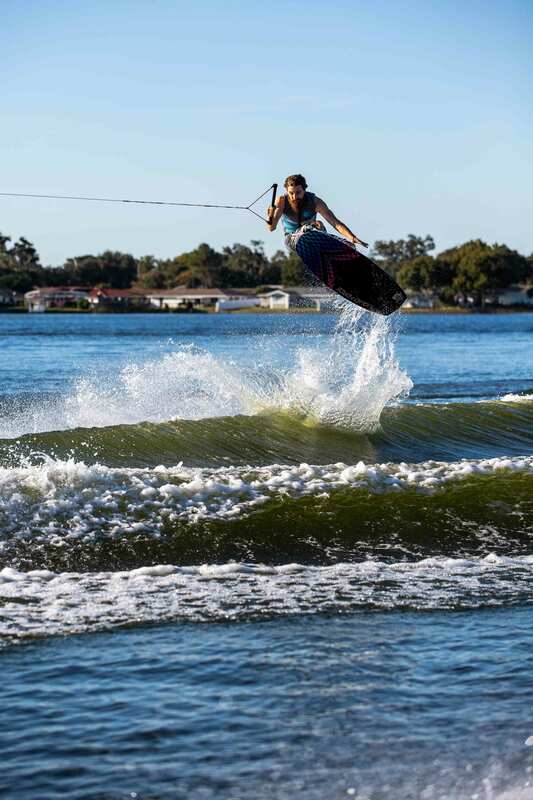 Keep your eyes up and looking towards the landing. Do: Pass the handle to your back hand and start pulling it into your back hip to initiate the 180. Don’t: Try to sneak the 180 in too late. The later you bring it around, the higher your chances are of getting scorpioned.